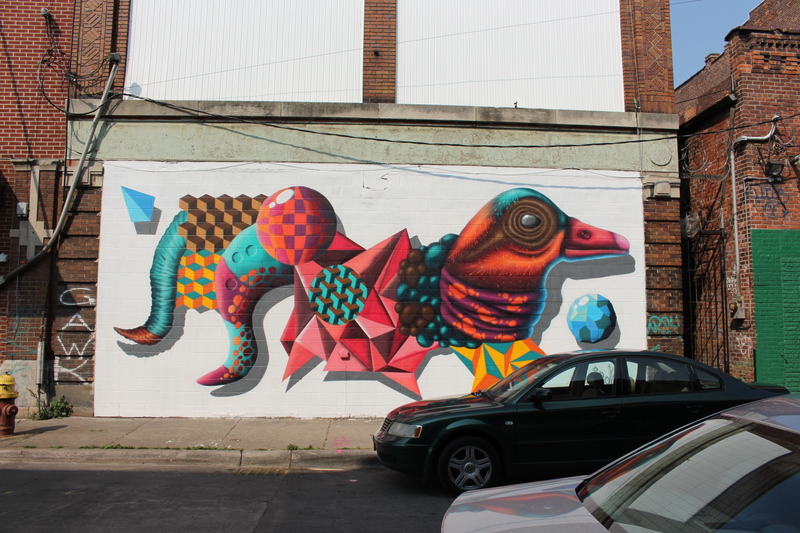 As I crossed the border from Canada into Detroit where I was questioned at length, I began to realize that going to Detroit to see a gallery show perhaps wasn’t so common. (I also realized that my life of living between Canada and Morocco where I own businesses and drive a rental car to visit Detroit is suspicious.) The questions from the border security were numerous as I explained I wanted to visit the Detroit Institute of Arts’ Deigo and Frida in Detroit exhibit that was getting the attention from the likes of The New York Times and Conde Nast Traveler. On top of that, Detroit has been referred to as the comeback city. Scared and unsettled after my conversation with the board guard, I decided to head off anyway rather than make the quick return to Canada. Despite an eery, but not scary, feeling throughout the city (with the exception of midtown where there are great microbreweries and boutiques), I stuck to my original plan of visiting the DIA. After all Richard Branson had just been in town to launch VirginAmerica’s London – Detroit flight. Even National Geographic has an interesting article about rejuvenation in the city in this month’s issue. But yet it was eery. You see, there was no one there! Literally. 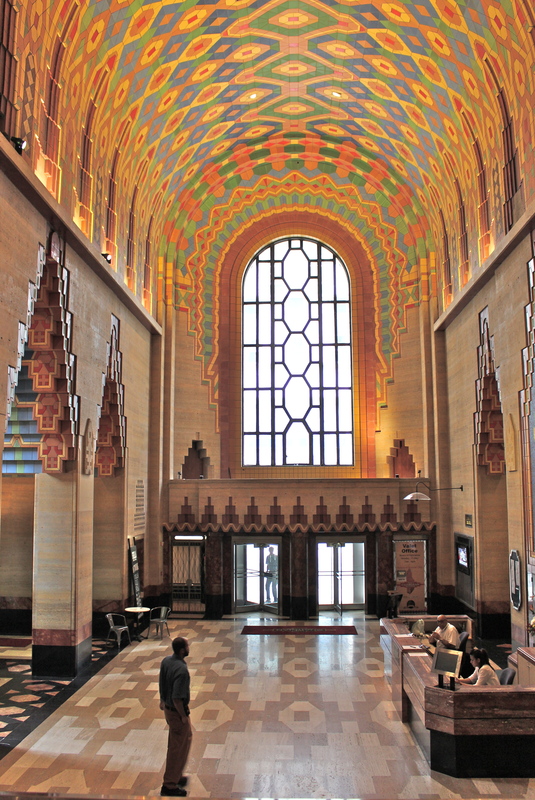 As I wandered in to the Guardian Building and proceeded to check in with security as the sign indicated, I was informed I didn’t need to bother. Because with the exception of the one person using the Bank of America, one person working in the Pure Detroit shop, a few security guards and a law student studying, there was no one there. I wanted to cry. 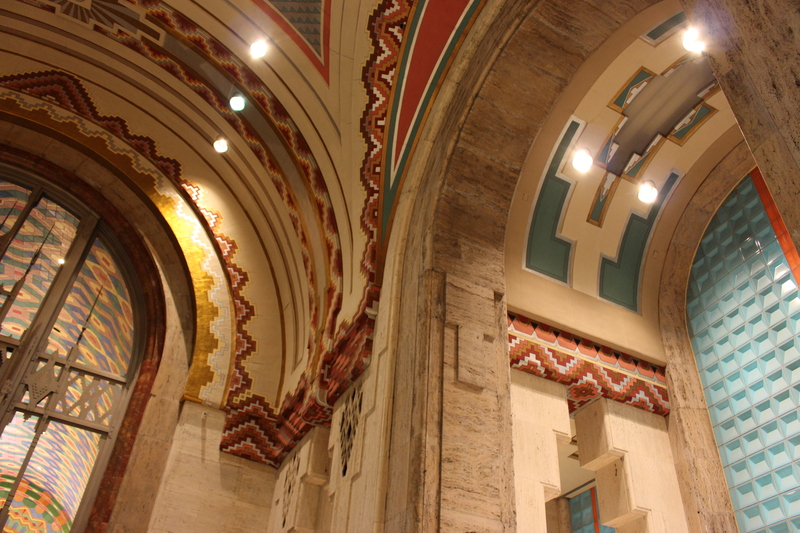 In other major cities I’ve visited, entrance would be paid and the building would be heaving with tourists admiring the colourful Aztec-inspired tilework, arches and decor. But with the exception of a couple of people popping by simply to use a bank machine there was no one there. In such a beautiful space. 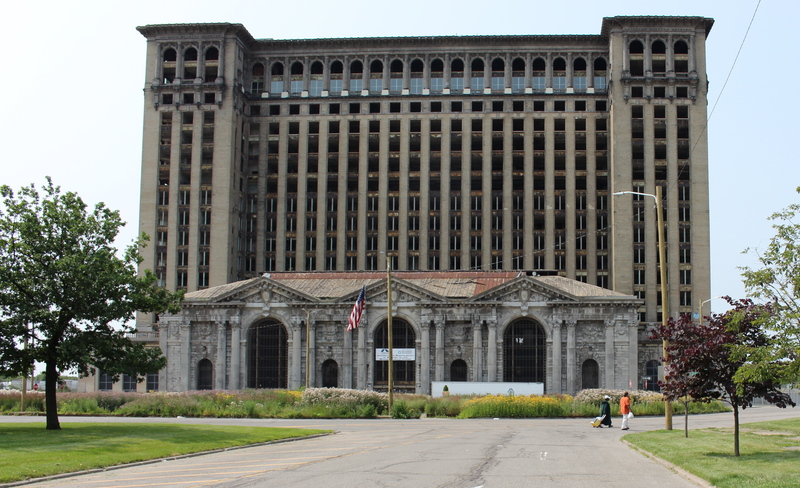 Over in Corktown, trains don’t seem to stop at this station anymore. 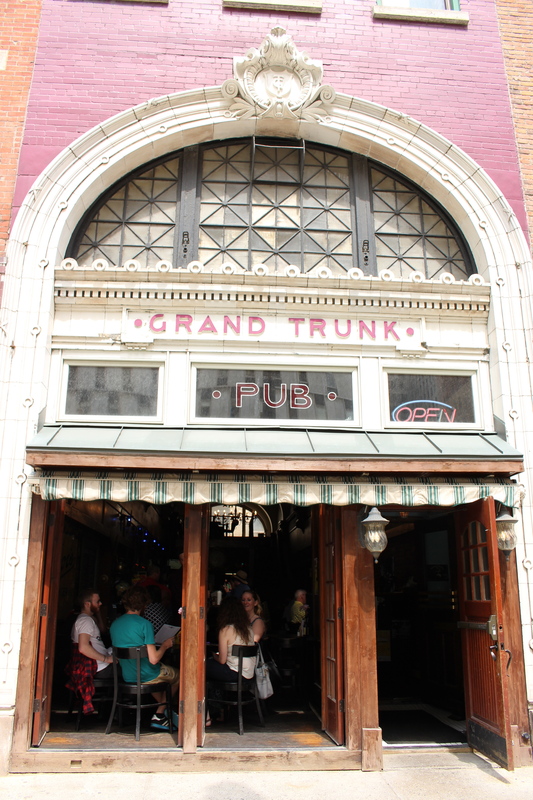 I found a few people in a pub Grand Trunk Station, a great little haunt for sipping local brews and grabbing lunch. I noticed a few people setting up for a tailgate party outside of Tiger Stadium. I found a few people enjoying snacks and a beverage in the lovely Kresge Court at the DIA. I found local microbreweries including Jolly Pumpkin and Batch Brewing Company packed leading me to believe that Detroiters really like their local brews. The ever-fun Motown Museum sold out all of its tours. 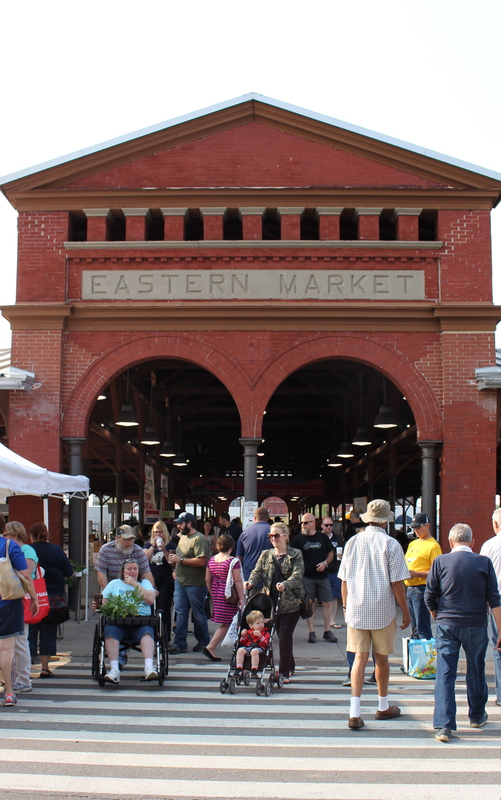 Eastern Market had some people shopping for local fruits and vegetables and lining up for greasy breakfast on Saturday morning along with some great street art to admire. But as I wondered through downtown, even on game day (Detroit Tigers were hosting the Toronto Blue Jays at the downtown stadium), admiring the art deco architecture, the streets were as empty as the boarded-up and vacant low-rises and skyscrapers around me. Up in mid-town there were more people bustling about, meeting at local microbreweries, working in fine boutiques (City Bird and Shinola had me drooling and pulling out my credit card) and wandering after a visit to the Detroit Institute of Arts (a world-class museum by the way), just a few blocks away. Detroit will change. 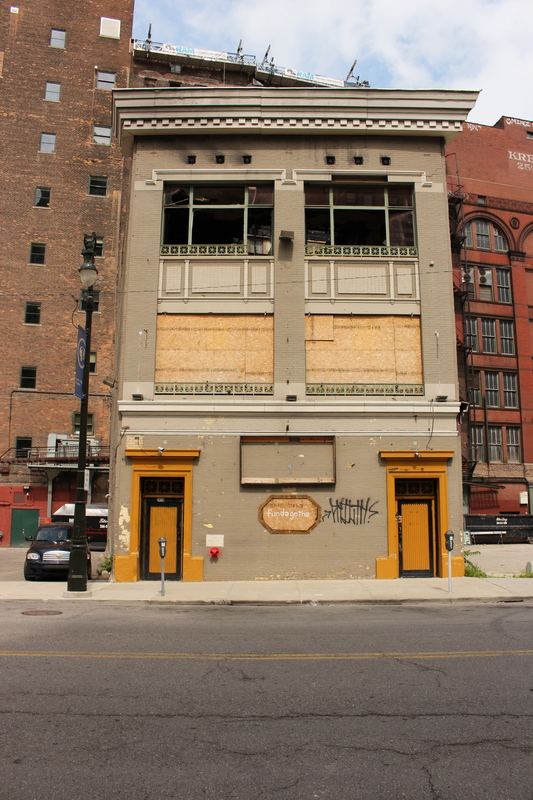 Opportunity Detroit seems to be working hard to promote opportunities in the downtown core. Visitdetroit.com is hustling hard to promote the city and all it has to offer (I’m a fan of their social media channels and level of engagement). Chatting with Detroiters you will hear the hope in their voices that things are going to work out for this city. That NOTHING STOPS DETROIT is more than just a neon sign hanging on Woodward Avenue. There seems to be truth behind the slogan that DETROIT HUSTLES HARDER! It’s a fascinating time to see the city before it really does comeback. 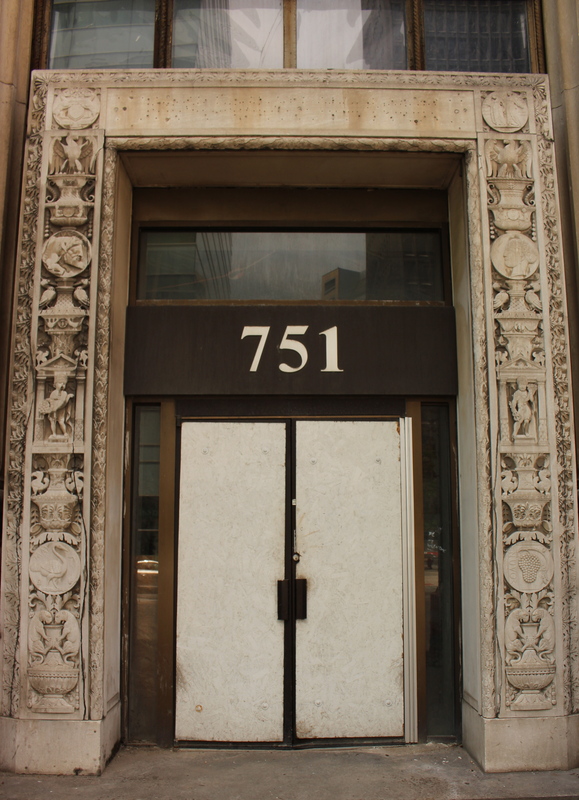 After all, who knows if the vacant art-deco gems once filled in the hustling Paris of the Midwest will survive the rejuvenation. really interesting Mandy, I had no idea that Detroit was like that at all! I visited Detroit about a year ago and it was not nearly as bad as I’d heard! A pleasant surprise, and I’m sure even more so during the art show. Not bad at all in my experiences. I’m looking forward to going back to the DIA. I could stay there all day. Hey you: We were there in …….January, two years ago and felt pretty much the same things. Hired a guide who drove us around to some of the more remote districts, some with city services, some with not. 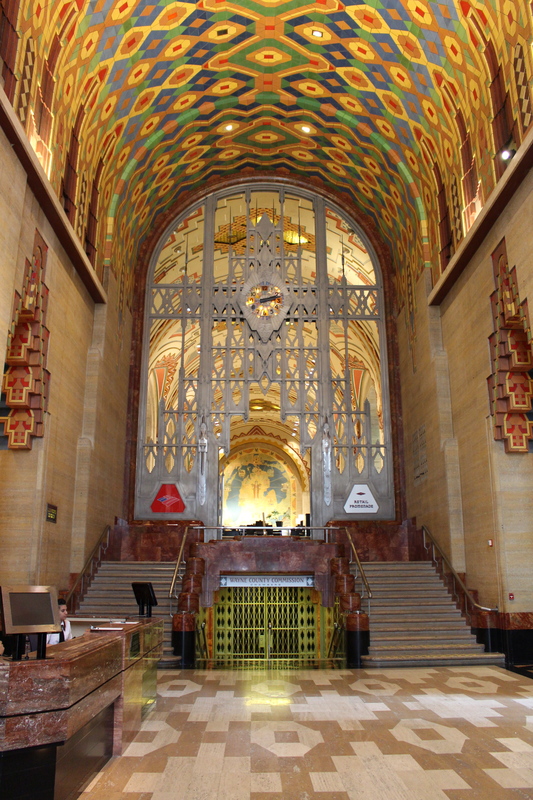 The same experience as well at the Guardian Building, the Fisher Building (out by the GM Campus, interesting as well). We wandered into spaces that we perhaps should not have and felt guilty with the freedom. The people we did meet were as you mentioned, hopeful, eager to share where they were with their restroative projects: was especially heartened to see young folks moving back, taking an interest, opening businesses, coffee houses, bakeries, galleries. Really want to return. #TravelWell! Definitely planning to return. I LOVED the DIA. And the microbreweries #yum Enjoy your summer !